Be the first to share your favorite memory, photo or story of Helen Billings. This memorial page is dedicated for family, friends and future generations to celebrate the life of their loved one. 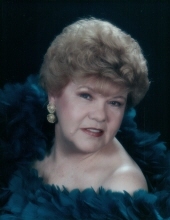 Helen Billings Collie Payne, of Dry Fork, VA passed away, Sunday, January 27, 2019 at her residence. She was born in Independence, VA to the late Tyra W. Billings and the late Ella Mae Sexton Billings. Helen was married to the late Landon Hamilton Payne. She was a member of Sharon Baptist Church and a long time member of West Main Baptist Church, a member of the Women’s VFW Auxiliary, business owner and invested in residential real estate prior to retiring to the Payne Family Farm in 1997. Mrs. Payne is survived by a daughter, Kathie Collie Lovelace of Richmond, VA; two sons Richard D. Collie of Dry Fork and Danny B. Collie of Buford, GA; six grandchildren, Justin D. Collie (Leigh), William B. Crumpton, John Patrick Lovelace (Cordelia), Jessica C. Testerman (Nathan), Ashley C. Fowler and Rachel D. Collie; eight Beloved great-grandchildren and numerous nieces and nephews. In addition to her parents and husband she was predeceased by a daughter, Mae Collie Crumpton; a son William Ronnie Collie; six brothers and three sisters. Helen was the last surviving member of her generation. A graveside service will be held 2:00 p.m., Wednesday, January 30, 2019 at Highland Burial Park, Danville, VA with the Rev. Charlie Ryan officiating. The family will receive friends at the home Billy Crumpton, grandson, 349 Iris Lane, Danville, VA 24540. The family requests that memorial donations be made to the charity of ones choice. To send flowers or a remembrance gift to the family of Helen Billings Collie Payne, please visit our Tribute Store. "Email Address" would like to share the life celebration of Helen Billings Collie Payne. Click on the "link" to go to share a favorite memory or leave a condolence message for the family.